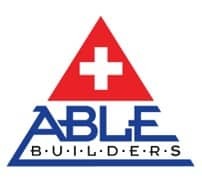 Get the Financing you need for your Home Renovation & Construction Projects with Able Builders, Inc in Clearwater today! Able Builders, Inc. has various financing options that can help you with affording & paying for your next big remodeling project here in Florida. With loan amounts up to $50,000.00, Able Builders’ customers now have the option of keeping their savings in the bank while building the kitchen, bathroom, floor, or renovation of their dreams for low monthly payments and great interest rates, versus hard earned financial reserves. Please contact our office today to learn more about the options you may qualify for.